In our youth, we think we are untouchable. Nothing can stop us. Our dreams are big and our hopes are a slew of bright stars within in our reach. And then something happens to squelch a bit of those hopeful dreams…called reality. Life. People hurt you and you hurt them. Death rips through your dreamy thinking and shatters your stable little world. Divorce wrecks the relationships you thought were strong and steady…children get sick and cancer wreaks havoc. Life. Friendships fall apart. Misunderstandings and wrongdoings divide. Wombs are declared barren. Little children go hungry- abandoned-abused. Depression stubbornly lingers and anxiety shakes your insides. Life. Your friend gets pregnant in her teens and that loving Christian community you were apart of called the Church- gives way to the weight of sin. And you realize you aren’t in control. You never were. You never will be. Sometimes life seems to be the enemy. But perhaps it is a reversal of thinking – that enemies are the result of this one life we live. And how we choose to live it. Dietrich Bonhoeffer puts it bluntly, “When Christ calls a man, he bids him come and die.” Enemies and death go hand in hand. Death to self. Jesus puts it even more bluntly, “If anyone would come after me, he must deny himself, take up his cross and follow me.” (Matthew 16:24) Scripture is uncomfortably clear that when we deny ourselves to follow Christ – we will have enemies. The gospel is radical. Mediocre, lukewarm, middle-class Christianity is not radical when the cross is absent. 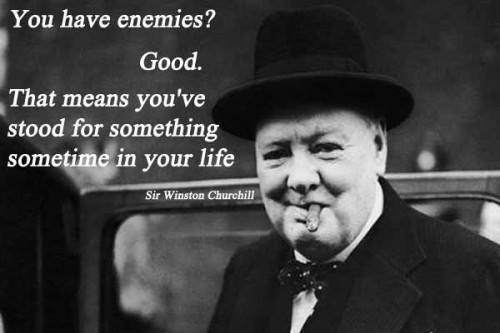 “You have enemies? Good. That means you’ve stood for something sometime in your life” said Sir Winston Churchhill who led Britain as Prime Minister until victory over Nazi Germany had been secured. All of the sudden – life isn’t so naive anymore. Or maybe we aren’t naive to life and truth and what really matters. Our dreams become HIS dreams. Our realities – HIS realities. Hard things will happen void of our enemies. Harder things will happen because of our enemies. Jobs will be at stake. Lifestyles. Beliefs. Philosophies…theologies. They all matter when we are hated by others because of what we stand for. But Oh! 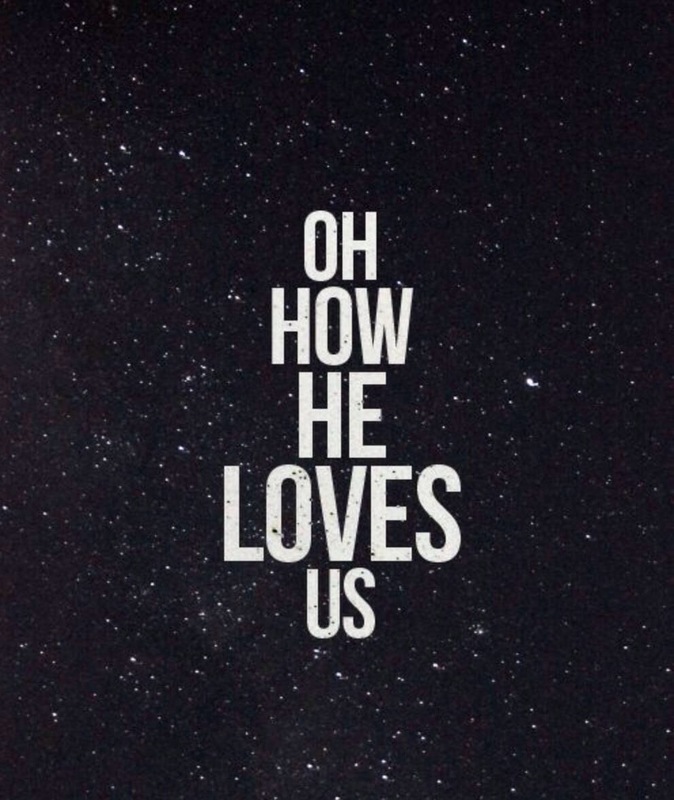 How he loves us! “If God is for us, who can stand against us?” (Romans 8:31) We will be hated by some in this world, but His love far surpasses our enemies enabling us to even love them in return.